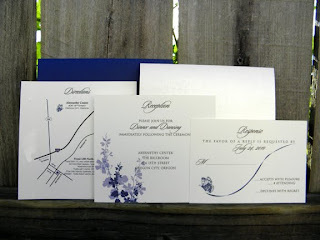 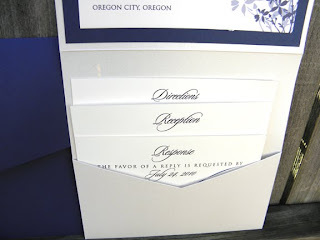 Diana chose our lovely Whispering Flowers invitation design. 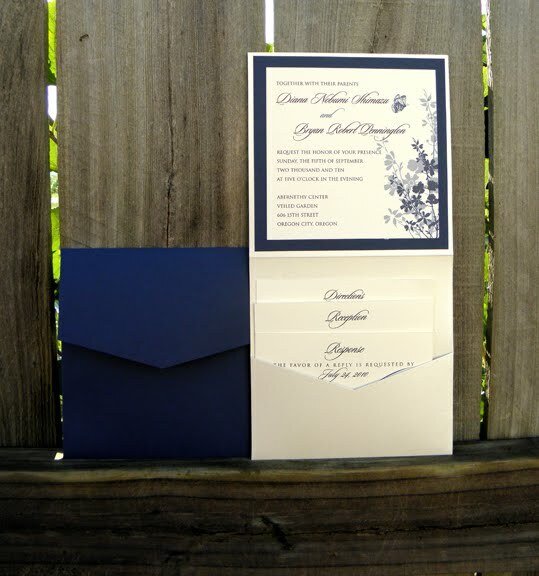 We used Ecru Micah for the Booklet Pocketfold, Indigo for the backer and envelopes, and Classic Ecru for the inserts and invitation. 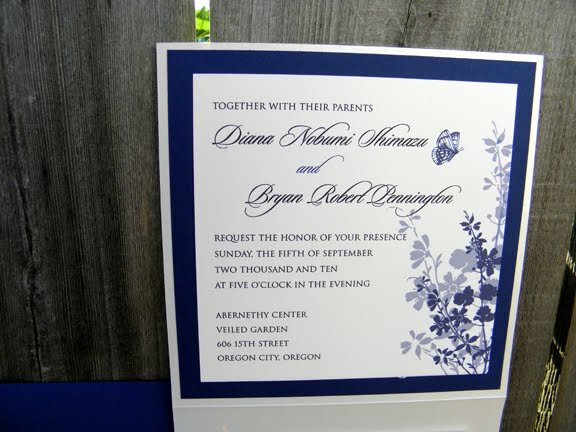 Diana chose our DIY option where we print & cut the pieces to size and she was able to assemble them herself. 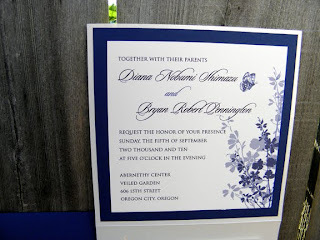 We offer a discount off the price if you choose to assemble them yourself. 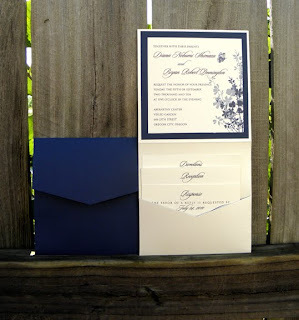 I love the indigo colorway - gorgeous!